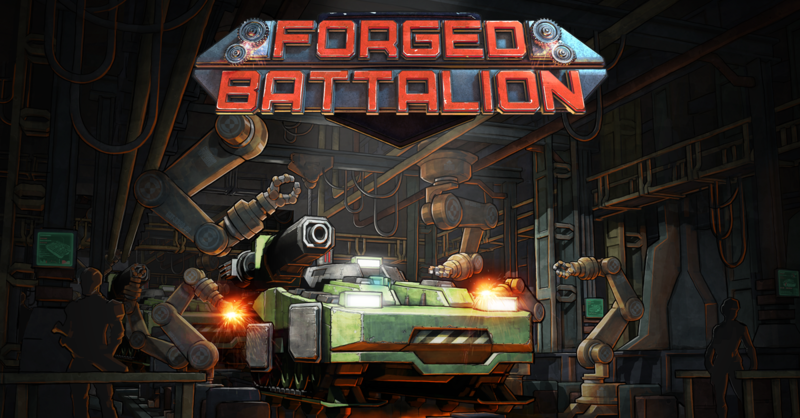 Today we’re excited to announce that Forged Battalion, a real-time strategy game from Command & Conquer veterans, Petroglyph Games, has officially left Early Access and is now a fully launched game! We’d like to start by saying a huge thank you to our players. Their time and feedback during the Early Access period was invaluable to us. Not only that, their experiences helped us craft, balance and develop Forged Battalion during Early Access into what it is today. 1 v 1 ranked Online Multiplayer. AI skirmish battles – play against up to 7 AI players. AI difficulty settings for single player campaign missions and AI skirmish battles. Standard, Annihilation and Destroy HQ unranked / AI multiplayer game modes. Faction Creator. Save multiple Factions to take into battle. 71 attachments across 4 Tech Tree tiers. Building attachments – customise turrets, HQs and superweapons using attachments. Map Editor & Steam workshop support. Soundtrack, sound design and voice-overs by the iconic RTS composer Frank Klepacki. To celebrate Forged Battalion’s launch, we’re offering a 20% launch discount on Steam for budding Commanders looking to join the battle! You can take advantage of the launch discount HERE.